When I painted �A simple celendine� a while back, I had it in my head to paint it as one of a pair, along with a daisy. I�ve finally got around to painting the daisy. 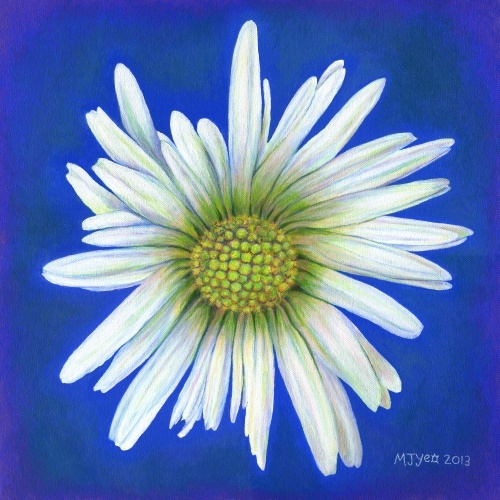 I had similar thoughts while painting this one, about daisies seeming unremarkable to a lot of people because they are so common, and yet I find them interesting when I look at them closely. They are mainly �just� white, but white reflects other colours which show up in the shadows.